Check out this extremely well-maintained, Georgia owned 2007 GMC Yukon SLT. 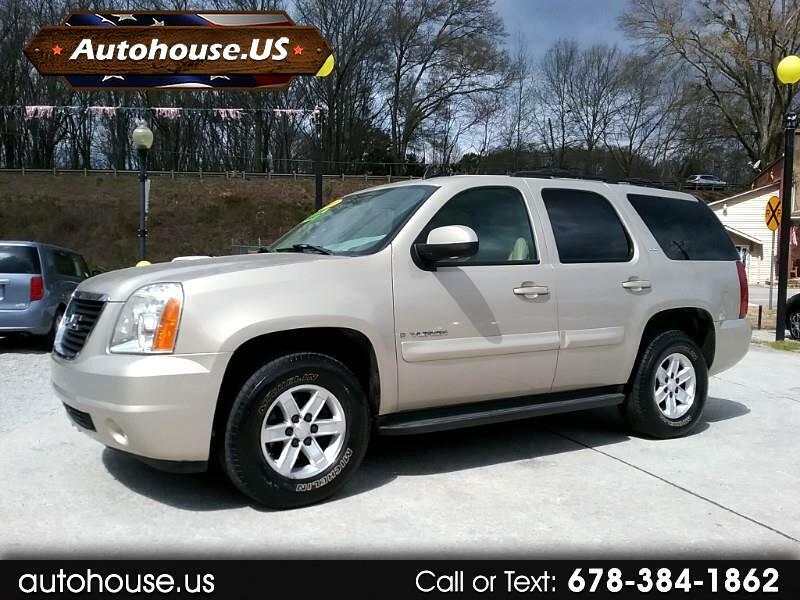 This Yukon is equipped with a ton of goodies, navigation, heated seats, back up camera, power lift-gate, dvd player and beautiful leather interior, along with Michelin tires. There are quite a few maintenance records, the previous owner took excellent care of it, oil changes and repairs are well documented. Perfect for the family road trip, third row with plenty of room for the kids. At Autohouse.US we have a variety of financing options available! We hand select all of our cars and go through them mechanically to make sure they are safe and reliable for you and your family. All of our cars have clean titles, clean GA emissions, and are prepped to provide you years of service. We function with honesty & integrity as we treat our customers with the golden rule. We truly aim to be different than any other dealership, and would love for you to experience a “new way to buy used” at Autohouse.US. And as always, we have a variety of WARRANTY options available ranging from 3 months to 3 years and more! Call us today for more information or to schedule a test drive. Stay in touch with us on Facebook - @Autohouse.US for free giveaways, advice and contests! Call OR TEXT us at 678-384-1862 ! Visit Autohouse.US online at autohouse.us to see more pictures of this vehicle or call us at 678-384-1862 today to schedule your test drive. Message: Thought you might be interested in this 2007 GMC Yukon.